Book a trip with the best Fishing Charter in Dauphin Island! 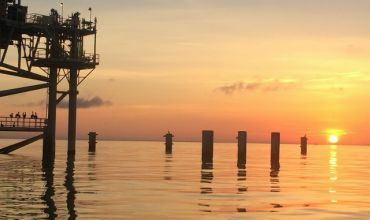 You can count on our team of experienced and licensed captains to ensure your fishing trips in Dauphin Island, AL, and Spanish Fort, AL, are a success. We now have 2 locations to serve the ENTIRE Alabama Gulf Coast. Dauphin Island/Mobile and Our Eastern shore Location serving Orange Beach/Gulf Shores/ Ft. Morgan/Fairhope and the Mobile Delta. 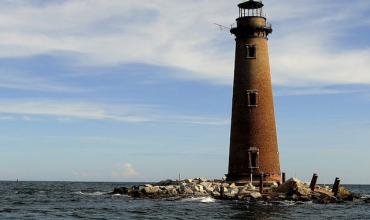 Experience Dauphin Island fishing with Finatics Fishing Charters. 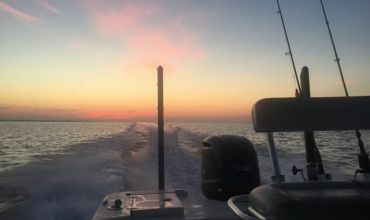 Our guides know all the best spots for charter boat fishing throughout Dauphin Island, Fort Morgan, Orange Beach, Gulf Shores and Mobile, Including some of the best fall fishing in the Mobile Delta system. OUR FISHING GUIDES WILL PUT YOU ON THE FISH! FinAtics Inshore Fishing Charters will take you out aboard a brand-new 2019 26’ Avenger center console. It comes powered by a 300 HP Yamaha engine and provides comfortable fishing space for up to six anglers. The boat is stable and is outfitted with top-notch navigational and fish finding electronics, as well as other professional tools and accessories to save your time while searching for fish. Ready To Hook Some Fish?